Here is a book to lead you through the fascinating intersections of life and physics with humor and intelligence. Find out how the laws of physics define every aspect of our lives and society, from human nature and relationships to geopolitical issues like financial markets, globalization and immigration. The Quantum Rules is a different kind of physics book, as easy to read as a novel and directly relevant for everyday life issues that affect us all. It is not meant to dazzle you with unproven speculations that have no bearing on your life. 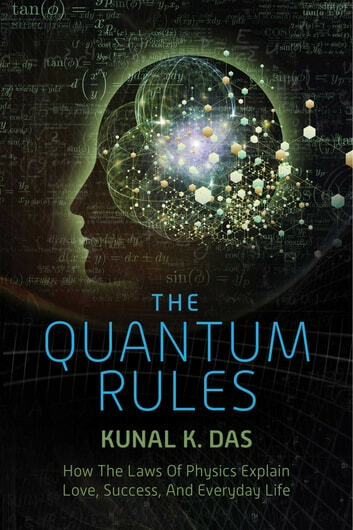 Rather, The Quantum Rules will familiarize you with the important and established laws at the heart of physics, in a way never done before  by showing how the defining patterns of our lives, our behavior and our society already follow similar rules. Never took an interest in science before? No problem! you will still understand everything and find plenty to relate to. A scientist or a science junkie? You will find a different perspective on things you may already know. Best of all, you will discover how to have meaningful conversations about physics in a way that won’t make eyes glaze over, and in which all can gladly participate. The Quantum Rules also does something you would never expect from a book on physics  it makes you laugh, often. Its new and original take on established natural laws injects plenty of dry humor into this serious subject, by using life to explain physics and in turn using physics to understand life.